Previously announced during August 2017 the crowdfunding campaign for the Connect Watch smartwatch which comes supplied running the unique AsteroidOS operating system has now launched. AsteroidOS is an open source platform developed as an alternative to Google’s Android Wear operating system, Which has been designed to work on top of the Linux kernel with the user interface redesigned using a Qt5 framework. 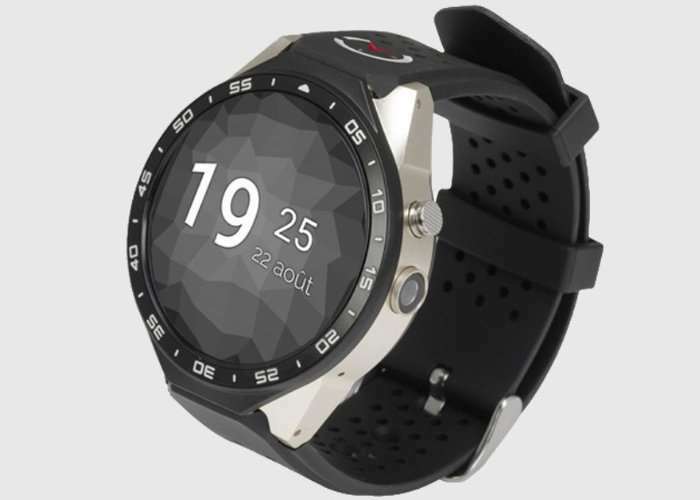 he Connect Watch is fitted with an 1.39-inch AMOLED display offering users a400 x 400 pixel resolution as well as a 2-megapixel camera capable of recording HD (720p) video. All powered by a 1.39GHz MediaTek processor with options for either 4GB storage and 512MB RAM, or 8GB storage and 1GB RAM. For more information and to make a pledge to be one of the first to own the new AsteroidOS Connect Watch, jump over to the official crowdfunding page by following the link below.